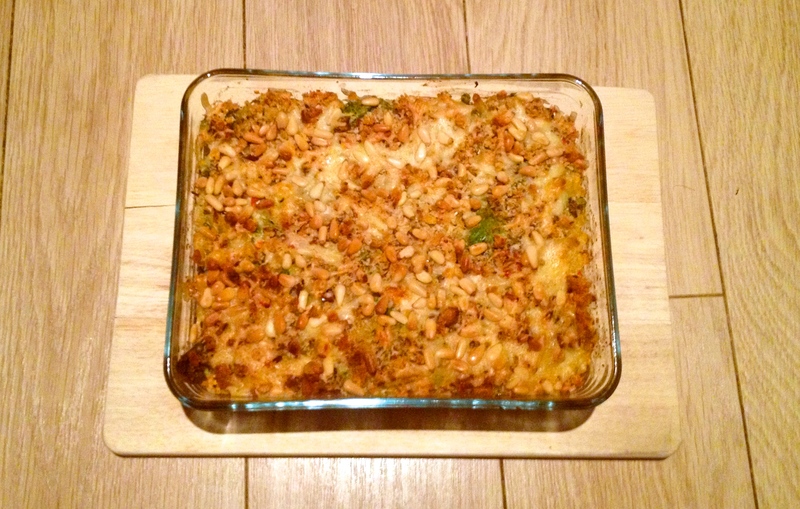 Friday: Summertime mac n cheese with butternut squash – Hello… Is It Me You're Cooking For? Summer cooking means sometimes comfort food can make you feel heavy, sluggish and anything but comfortable. However if you put a few twists on it you can still make something light but warming. This summer twist on mac n cheese will give you the home comforts, without you feeling like a nap afterwards. Serves 4 people. Fry the pancetta in the same pan until crispy and brown, set aside on kitchen towel to soak up the excess fat. Toast the granary bread and then blitz in a food processor or smash in a sandwich bag with a rolling pin to make breadcrumbs. Set aside. Drain the pasta and peas and set to the side with a drizzle of olive oil to stop it drying out. Mix the ricotta and creme fraiche together in the empty saucepan on a low heat. Add in half the cheddar and half the parmesan and mix until melted through. Stir in the drained pasta and pease along with the spinach and keep stirring until the spinach wilts. Add in the chilli, parsley, buttnernut squash and pancetta and keep stirring slowly until all combined. Pop into an oven proof dish. Sprinkle the remaining cheese over the pasta and scatter the pine nuts and breadcrumbs on the top. Bake for 20-30 mins until the pasta is bubbling and the topping is slighty brown and crispy.